A job board website is now one of the prime sources for all the job seekers. As an applicant, a job board website is a platform from where they can apply for jobs of their choice. As for a recruiter, a job board website is that platform which empowers them to post a job alert and short-list the candidates accordingly. WordPress can be an ideal source if you also have a desire to create a job board website. With the help of interactive features of WordPress website development, one can easily build and manage the job board website. In this post, I am not going to tell you how to create a potent and efficient job board website. However, I am going to talk about the features of a website like Indeed.com should have. But before that, I would like to give you a tiny glimpse of one of the oldest job board website indeed.com. Indeed.com was founded on 2004 by Paul Forster and Rony Kahan. 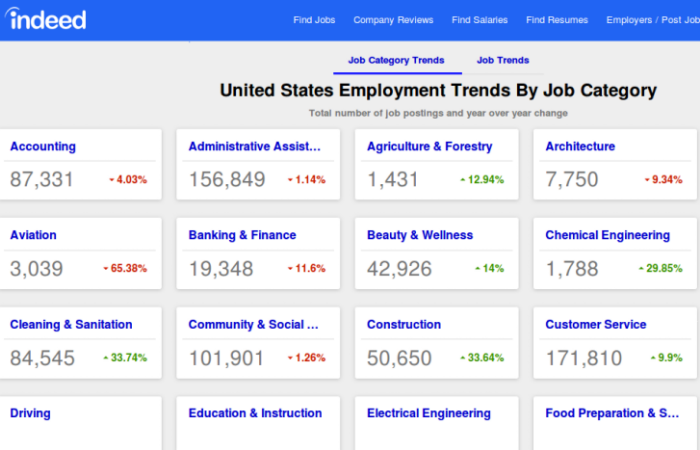 It is an American worldwide employment-related search engine for job listings launched in November 2004. Indeed.com is currently available in more than 60 countries and in 28 languages. They launched a beta version of their website in 2005. It was referred as pay per click job advertising network. Its corporate headquarter is in Austin, Texas. In October 2010, Indeed went past Monster.com to become the number one choice of job searching portal. The site aggregates job listings from thousands of websites, including job boards, staffing firms, associations, and company career pages. 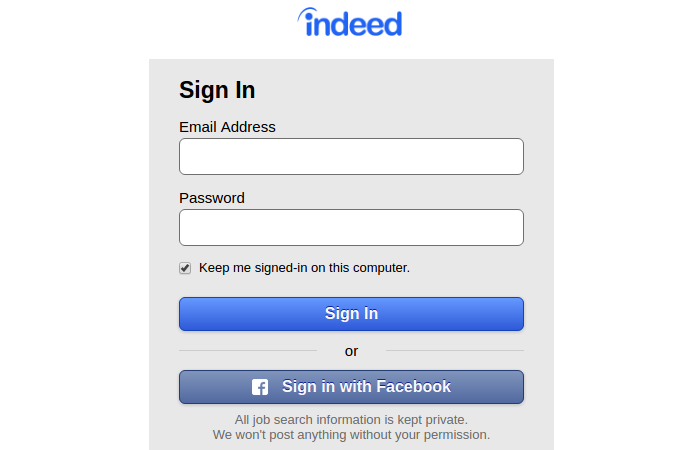 From 2011, Indeed began allowing job seekers to apply directly to jobs on Indeed’s site and offering resume posting and storage. 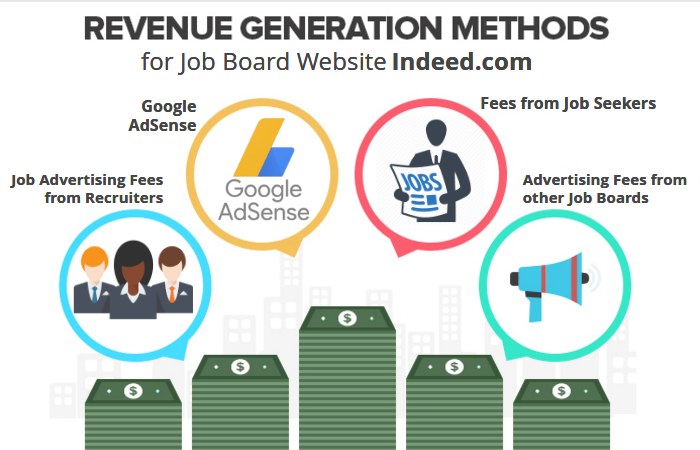 Job advertising fees from job boards. Job advertising fees from direct recruiters and employers. Google AdSense for Search revenue. Fees for sending messages to job seekers who posted their resumes on Indeed. So, this is the speculation by me. Mostly all the job board website run under these pointers mentioned above. Indeed also charge you for sponsored job just like Google PPC. I hope you do understand how indeed.com handle its business. Let’s get forward and check out its features that you must have in your job listing website. In this section, I am going to give you a detailed explanation of all the important features that you must have on your WordPress website like indeed. Apart from that, I will also guide you about how you can add these features to your website. Want to get a custom build job board website? Let’s build it for you! This is a must for a Job board website. 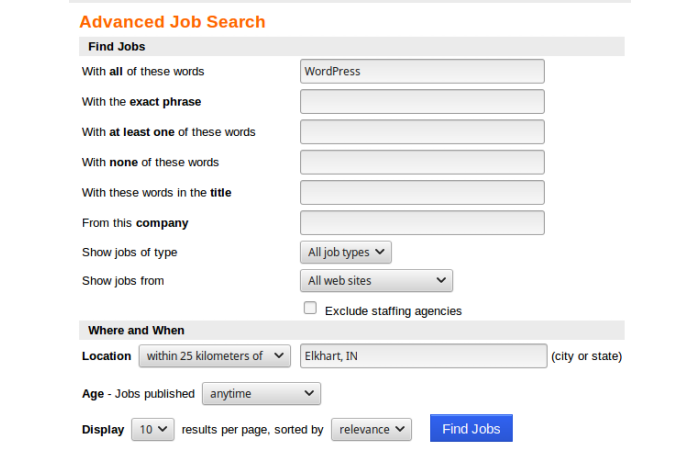 You need this feature as it is the most basic functions of your WordPress job board website. Recruiters posting can be easily done in WordPress. You can either use custom post type or job board plugin to get it done. Apart from that, another feature which is important is uploading candidate profile with proper category and tags. Indeed have a robust listing feature through which you can easily filter candidates. There are cases when we don’t understand which field is on a hike or which field is on a slope. Indeed.com got this unique statistics where it can tell which field is growing and which ones not. However, the niches stats are strictly according to its own database, but it is helpful to see growth details about the job fields. The best part of indeed.com is that you don’t have to sign up differently either you’re a recruiter or a candidate. You just need to sign up either manually by filling out the necessary details or else you can also sign up directly via Facebook. Signing up via Facebook is a plus for indeed as it saves a lot of time of the visitor whether he is a recruiter or a candidate. A separate sign up can be messy to manage as well. If your visitor wants to post a job, he can do that after signing up from the same procedure as a candidate will sign up to apply for a job. Need to expand your business? Hire us to get custom WordPress development services! As a recruiter, application form are one piece of form that will show the professionalism of your company. You should allow the recruiters to design the application form to showcase the company’s intent. Also, as multiple users will be using your website, you need to provide them with a powerful dashboard in order to keep all the application well managed and easy to shortlist. These features are distinctive just for managing the account on the recruiter and the candidate side. When a recruiter post a job listing, there must a feature that should enable the candidate to directly apply from the list. In addition to that, you can also opt for a function where a candidate can select multiple jobs and apply at once. Indeed.com has a varied, yet a very powerful search box that can refine all your search criteria and provide most accurate results according to your preferences. There are many WordPress plugins that can come in very handy to provide this facility. SearchWP is currently one of the best premium search plugins in the market with a ton of features. You can manually select the custom post types and categories you want to include in your search results. This feature is very useful for people looking for granular search parameters. Relevanssi is one of the most popular search plugins in the WordPress repository. By that we mean it has over 90,000+ active installations. Contact us to get started with your own job board website for just $15/hr! 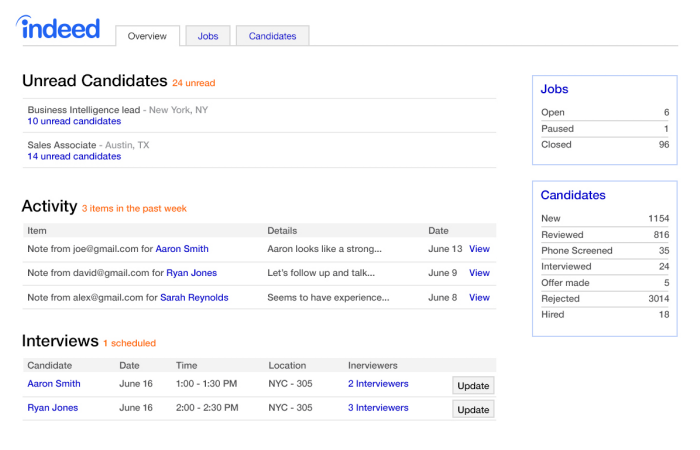 In indeed.com, there are separate sections for finding jobs for a candidate, look at company reviews and salaries. For a recruiter, there is a different section where they can find resumes of the candidates and a section to post a job listing. This is a unique feature as the looks of indeed.com is more like Google, yet with so many functions it can seriously refine all your searches and make it all easy to search for job or candidate. This is another notable feature of Indeed.com. When you’re signed in in your account as a recruiter you’ll get notification about which candidate viewed your job posting, how many candidates applied for your job post. All these notifications are on real-time basis. This notification also works in a candidate profile as well. He’ll get notification about all the updates regarding the job posting falls under his expertise. He can customize the notification through job updates notification of a particular category. This one is for the recruiters. They can easily add a deadline to a job post. Also, there is a section if you want to create a walk-in option. You can just select “Accept application in person”. This option will then notify the applicant that they can meet you directly at the given location. This can be achieved in a WordPress website simply by adding a custom contact form where the employer can mention details about the walk-in interview or accept application online via mail. Deadline for the application will be mentioned in the contact form only. This can be very easy and handy as well. Present your business online. Hire us now to build a traffic generated website! So, these are the features of Indeed.com, World’s number 1 job seeking portal. With WordPress on your hand, it really becomes easy to manage all these features via multiple plugins. However, there are cases where multiple plugins sometimes make your website a bit slow, but it can be rectified easily by speeding up your WordPress website. 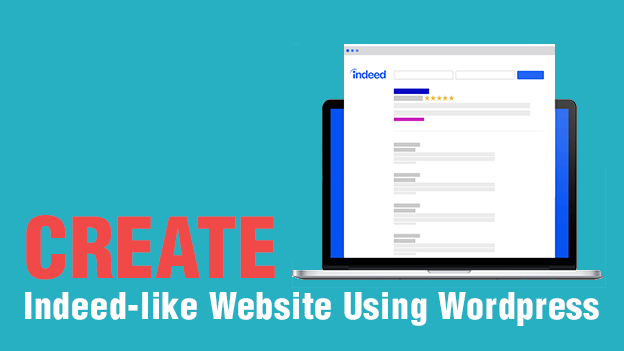 Let’s again have a look on the core features of indeed.com which you cannot miss while creating your own WordPress job board website. A robust MLS listing feature where your recruiter can post jobs and candidate can upload its profile. A proper resume manager which can submit resumes directly to the job lists. A job alert widget which can notify both the applicant and the recruiter about the job post updates. Allow the candidate to apply for a job using an interactive form. Also, the recruiter can easily view and manage the applications from their job dashboard. There are separate sections for finding jobs for a candidate, look at company reviews and salaries. Indeed.com has a varied, yet a very powerful search box that can refine all your search criteria and provide most accurate results according to your preferences. The best part of indeed.com is that you don’t have to sign up differently either you’re a recruiter or a candidate. You can sign up either manually by filling out the necessary details or else you can also sign up directly via Facebook. Recruiters can easily add a deadline to a job post. Indeed.com got this unique statistics where it can tell which field is growing and which ones not. I hope you like my post. Please do share it to spread the word. Feel free to contact us via chat option right on the bottom right corner of your screen. Till then, have a good one.